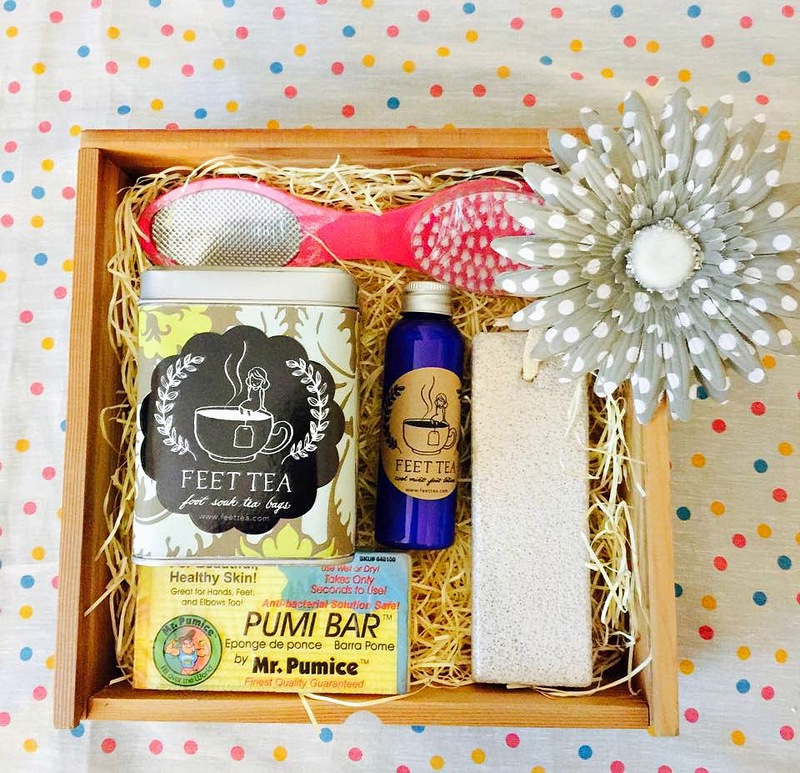 Feet Tea feature & GIVEAWAY! ~ Diane's Vintage Zest! Feet Tea feature & GIVEAWAY! 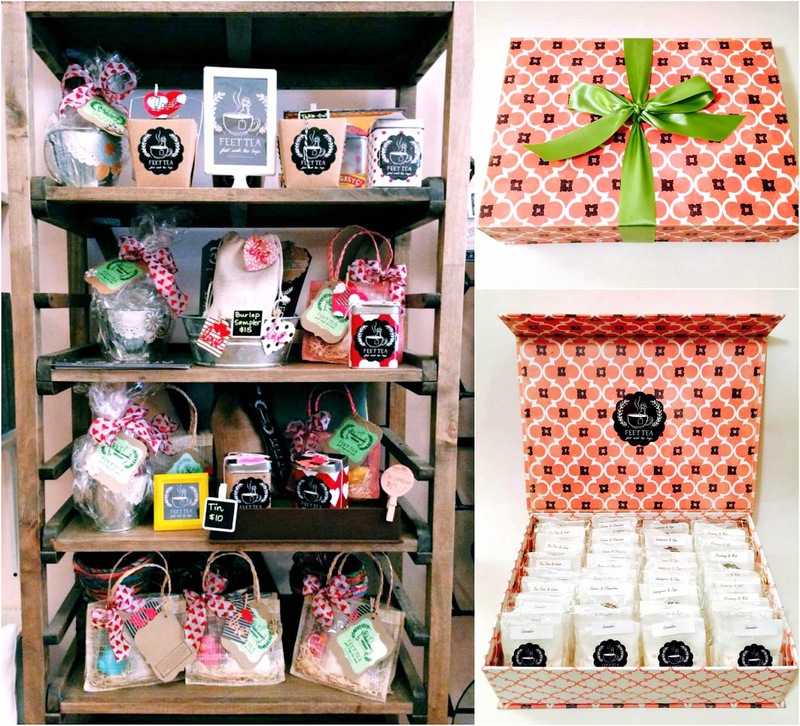 On this week's Shop Small Saturday Showcase, I have such a fun shop for you today! 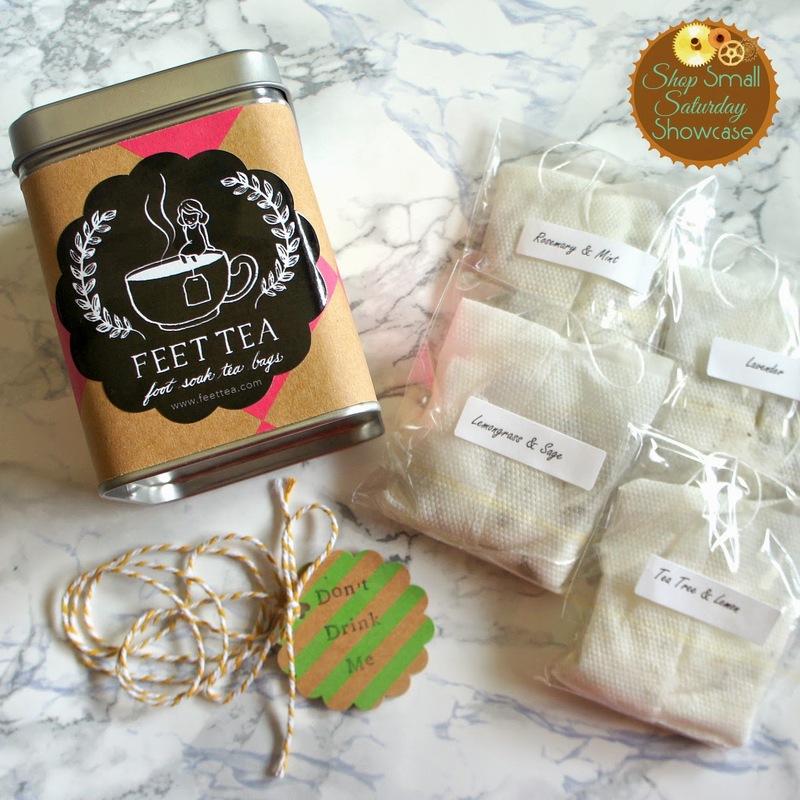 I first saw Feet Tea at one of last year's Patchwork shows, and I was immediately intrigued! First of all, the entire area around their booth had the most tempting aroma, so as I approached Josie to say hello, I was already loving their "Feet Tea." Then, I saw their adorable packaging (so will you in the pictures below) and the cute shop name. Since all of the foot soak tea bags smell so delicious, they had to add a little tag that says "Don't Drink Me." How funny! But first, let's hear from Josie and find out a few tidbits like her favorite product (which is made just for men) and see some pretty items from Feet Tea! My name is Josie and I am the creator and owner of Feet Tea. I make foot soak tea bags that contain Epsom and mineral salts, essential oils, and dried herbs or flowers. This is all contained in a tea bag that is perfect for softening dry feet in need of moisture and pampering. Even at a young age, I had always preferred handmade goods over store-bought. I liked the fact that someone used the creative side of their brain to create something unique and original. I also loved visiting craft shows to get inspired and to chat with the makers about their creative process. 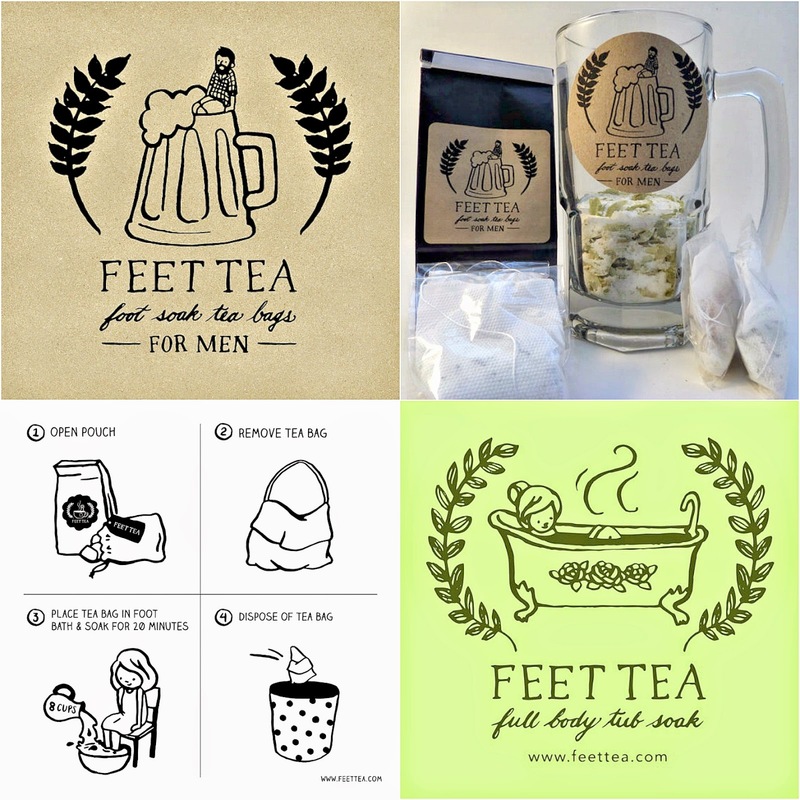 I did a lot of brainstorming as to what would be a fun and memorable name for my product, and also wanted to be really clear as to what Feet Tea was used for – soaking and steeping your feet, not for drinking. I also researched similar products on the market and the name Feet Tea was unique to the other foot soak products out there. Why did you start making goods for Feet Tea? I have always enjoyed drinking and mixing loose leaf tea and learning the benefits of using various herbs and dried botanicals. I have suffered from eczema since I was young which made my toes very itchy and I used soaking salts on a regular basis. I decided to add the salts and some of the herbs to one of the teabags made for loose leaf tea. Adding essential oils really brought out the aromatic qualities in the blend. The Feet Tea concept is about taking the spa experience home and also relieving your feet from soreness and muscle aches. · Dead Sea salts and desert mineral salts with selected pure essential oils. We use these amazing salts in all of our Feet Tea blends! Helps in soothing sore muscles and aches, and is an easy way to increase the body's levels of both magnesium and sulphate. · Certified organic hops flowers. The most common use for hops, as you probably already know, is the production of beer. However, its uses go far beyond the making of alcoholic beverages. The properties and benefits of hops become a skin blessing when used as a key ingredient in our custom blend. Benefits to hops: soothes irritated skin; contains polyphenols thought to account for its anti-bacterial and preservative effects (beer’s long life); contains skin-softening amino acids. Hops are also antifungal and can help reduce inflammation. · Organic Honey Powder. This natural honey powder is reputed to have antiseptic, antibacterial, antiviral, anti-inflammatory and analgesic properties and has been used to treat a variety of ailments such as cuts, wounds and burns. It is a humectant, having the ability to attract and retain moisture, and to increase the amount of moisture in the skin without making it oily; hence, it can be used as a skin softener. Our Lemongrass & Sage blend is our most popular item. We’ve combined Lemongrass, Sage, Vetiver, and dried organic Lemongrass blades which offers a clean, slightly spicy, and invigorating aromatherapy experience. I do a lot of research and testing. I get excited when I learn the benefits of a specific ingredient and how it will potentially become a new blend. I also am inspired by other makers who have turned their passions into a thriving business. There aren’t too many products like Feet Tea on the market. 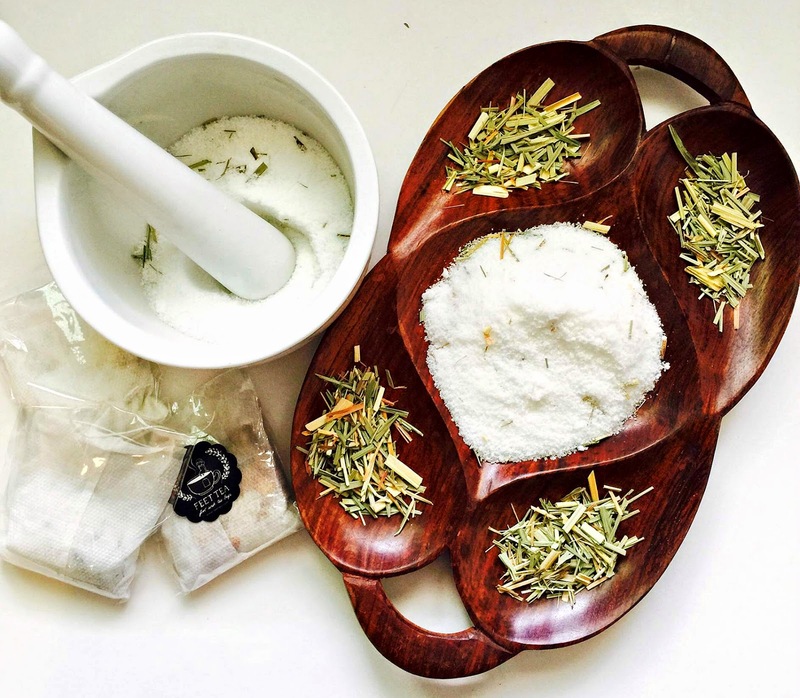 Foot and bath soak products are common, but the fact that our blends are contained in tea bags made of nylon blend material that are free of any chemical adhesives, harsh bleach, glues, and paper says we believe in eco-friendly pampering. All blends are 100% Pure Plant-Based Ingredients, Exceeds EU Cosmetic Directive Guidelines, Cruelty Free. I am happy to say that I haven’t yet encountered any tough parts. I know as we expand there will be growing pains, but I am thankful that I have a super supportive husband, family and friends that continue to encourage me to keep doing what I love. Also, stay tuned for new blends and other new products from Feet Tea! Also, don't you love her adorable gift baskets? As if the products weren't perfect enough gifts, Josie makes some pretty amazing packages. Make sure to check them out!